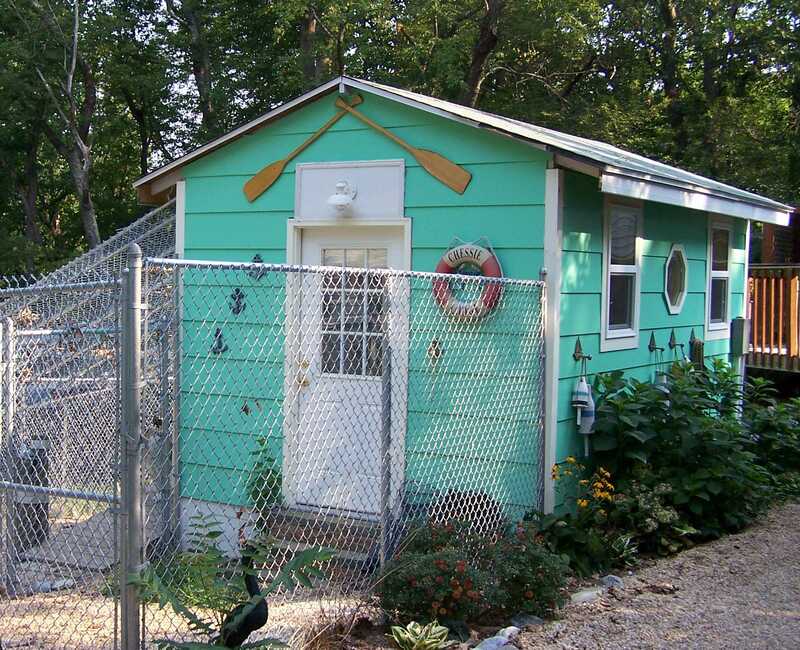 We offer three unique nautical themed cabins for customers to choose from, including the “Chessie Lodge,” the “Woodland Cottage,” and “Crab Cove Cabin.” Each cabin provides lots of room for family pets to lodge together, including cat condos for kitty family members to join their canine family buddies. Cabins also include their own private fenced play yard, heat and air conditioning, daily “Room Service,” and frequent visits from staff. 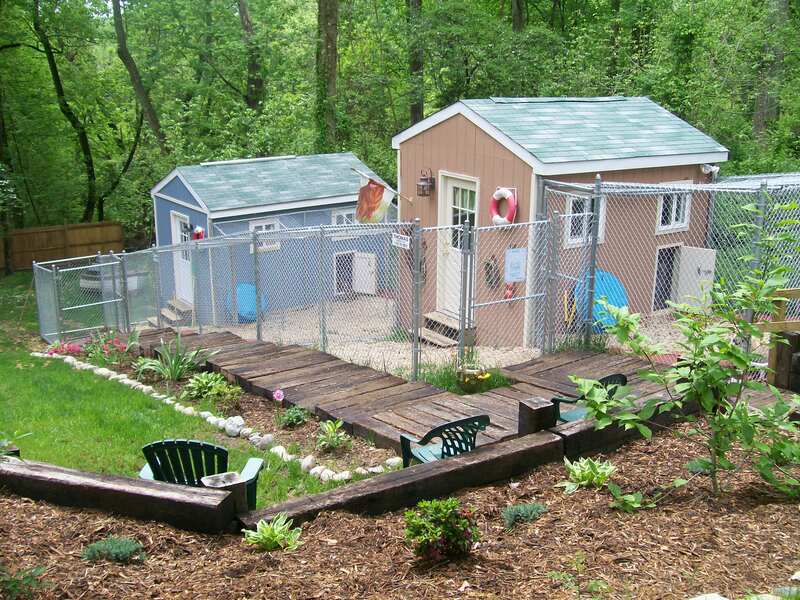 Featured below is our original cabin, The “Chessie Lodge,” along with features that can be found in each of the cabins here at Chesapeake Pet Resort & Day Spa. Stop by to visit soon and ask to see our deluxe cabins! 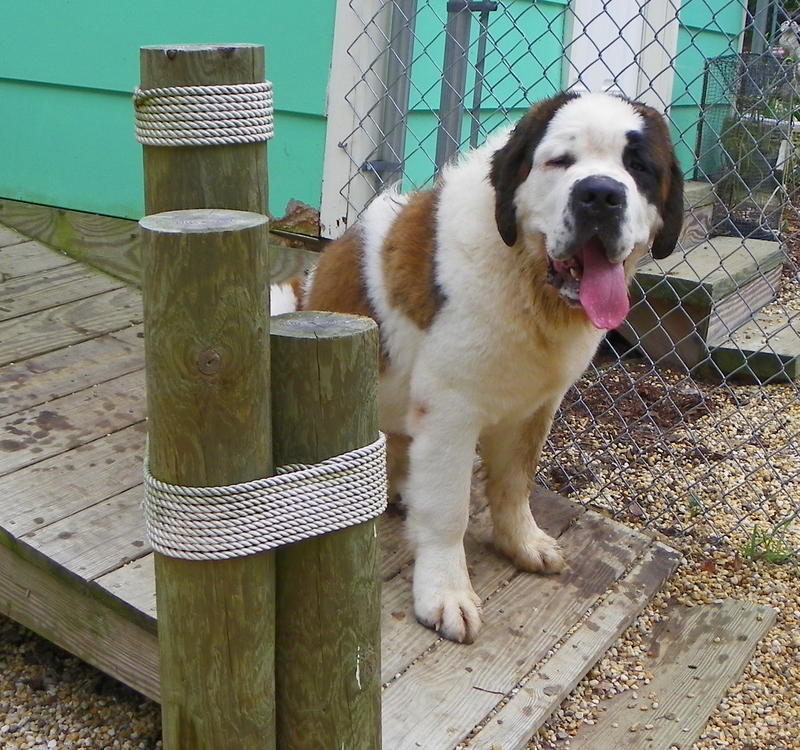 $60 per day for first pet, $30 per day each additional pet. Some restrictions apply. 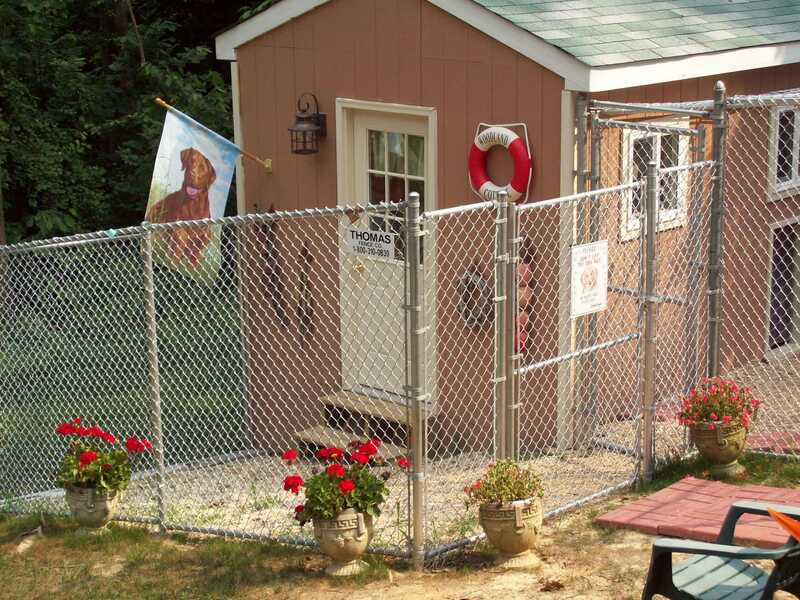 Cabins are not available to destructive pets, chewers, diggers, or escape artists.